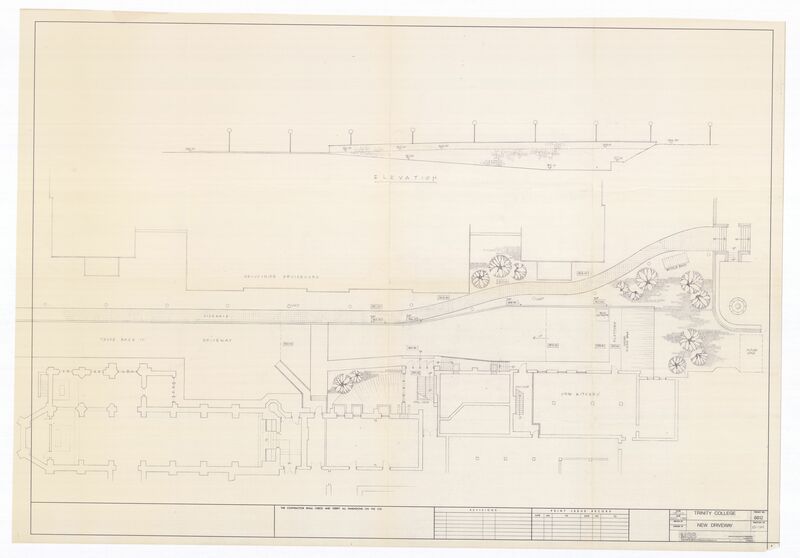 [Proposed driveways for western elevation, Trinity College, Toronto]/ Milne Slauenwhite Stevenson, Architects Ltd. Toronto. - Project No. 8812. - scale 1/8" = 1'-0". - April 18, 1988.